In a mixing bowl, mix together the ground meat, chopped onion, egg, Italian seasoning, and salt. 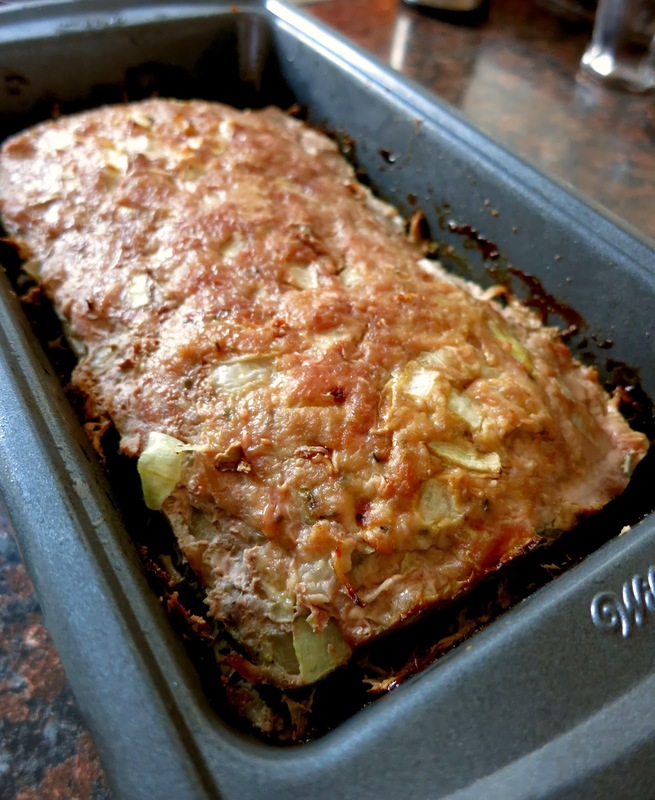 Grease a non-stick meatloaf or bread pan, and place about half on the mixture inside the pan, pressing down in the middle to create a valley for the zucchini. 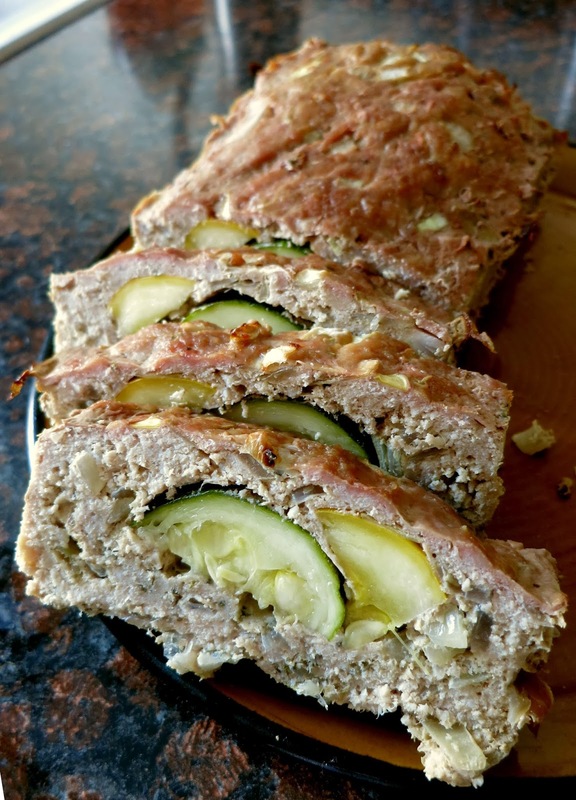 Cut zucchini in half lengthwise, and sprinkle with salt, pepper, and/or Parmesan. Place into the indent and press in slightly. 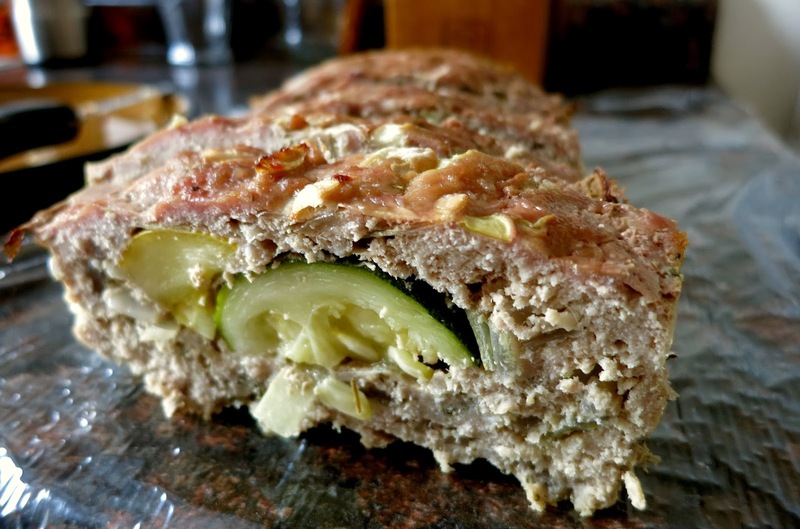 Use the remainder of the ground meat to cover the top of the zucchini. Top the loaf with additional Parmesan if desired. Bake for about 45-50 minutes on 350 degrees, covering if necessary. Increase temperature to 400 and bake for another 7-10 minutes to bronze. Enjoy, get creative, and let me know what you think :-) Happy saturday everyone, and please remember to share the love! Love this idea! The Italian seasoning was a bit heavy for me... going to lighten it up a little next time! Wow, this is nearly identical to my turkey burgers, sans the egg. You know though, fat is good for you so I use the regular (dark and light) ground turkey. It is so much better and moist. Really freaking good! A tbsp was a little too much salt for my taste but still very delicious. I added chopped jalapeño into the loaf and topped it with tomato sauce when done. Soo good! I just made this and added uncured smoked bacon,.who doesn't love bacon in everything? Can't wait to try this!! I love how simple this recipe is for a cooking challenged person like myself. Unfortunately, it was way too salty for me. I think it could have been that I only had one pound of the turkey instead of 1 1/2, so I should have cut back on the salt and maybe added it later if I needed it. It would have been great if not for that. I'll definitely try it again but with less salt.